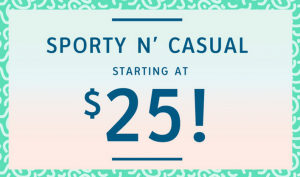 CALL IT SPRING Canada Deals: Extra 15% off EVERYTHING + FREE shipping! 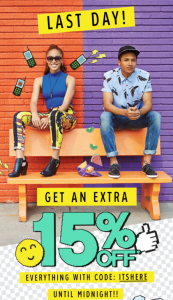 Today, Sunday, March 23, 2014 is the Last Day for extra 15% off EVERYTHING PLUS FREE shipping at Call It Spring Canada! 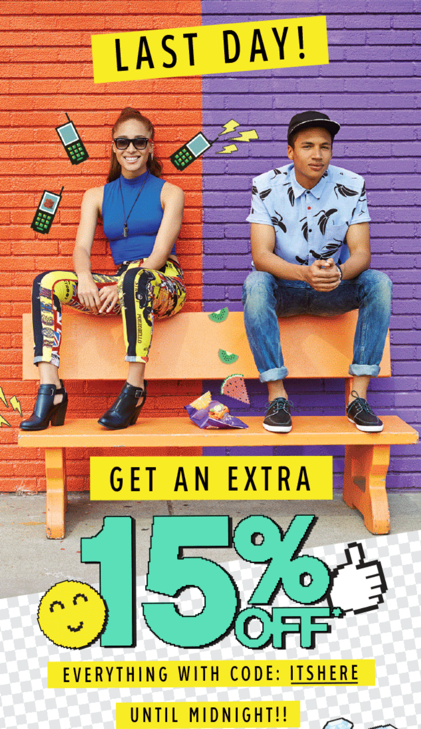 Save 15% OFF ALL your merchandise through this exclusive offer at Call it Spring Canada. This offer is valid online and in-stores until 11:59PM EST today, Sunday, March 23, 2014 at Call It Spring. Also, For a limited time, Call It Spring is offering FREE SHIPPING on all online orders The cost for shipping will automatically be deducted at checkout for all eligible orders. This entry was posted in Uncategorized and tagged Call It Spring on March 23, 2014 by booradley. 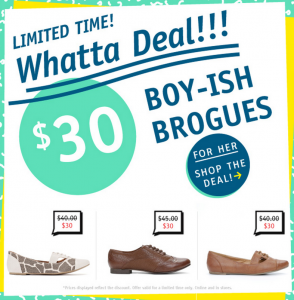 Call It Spring Canada Deals: Boy-ish Brogues at $30 + FREE Shipping! 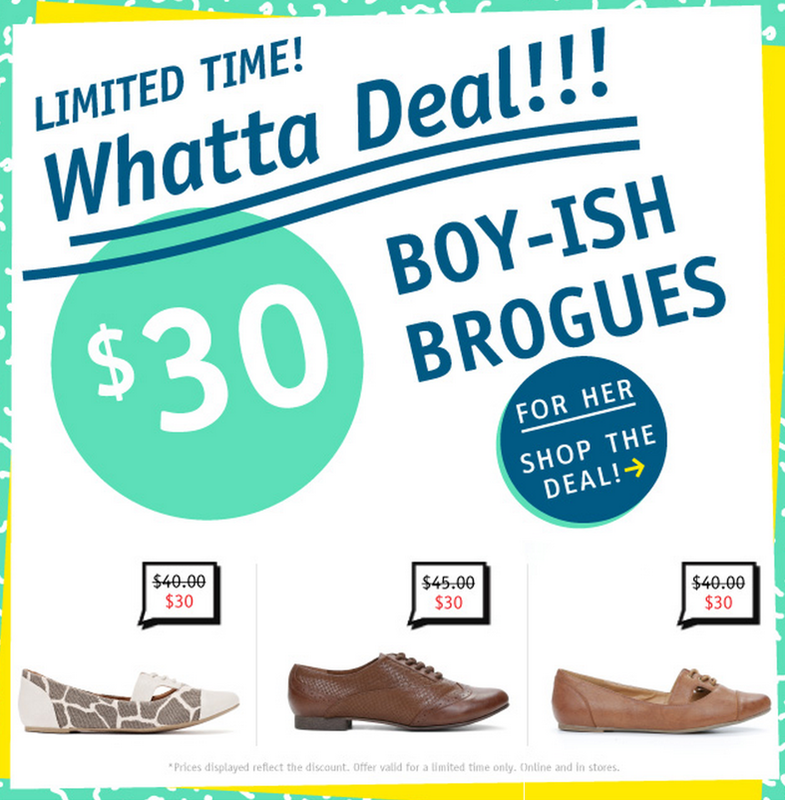 Whatta deal! 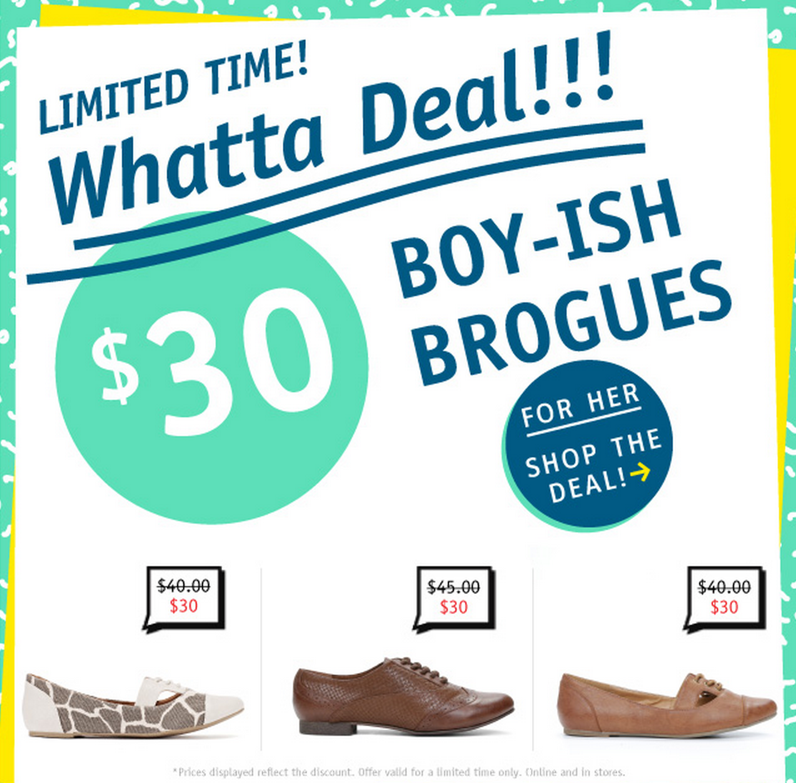 Boy-ish brogues at $30 + FREE shipping at Call It Spring Canada right now! This Call It Spring Canada offer is valid online for a limited time only. While supplies last. Enjoy, for a limited time, Call It Spring is offering FREE STANDARD SHIPPING on all online orders. The cost for shipping will automatically be deducted at checkout for all eligible orders. Click here to get this Call It Spring Canada deal online. This entry was posted in Uncategorized and tagged Call It Spring on March 18, 2014 by booradley. CALL IT SPRING Canada Offers: Save 50 % off ALL Clearance. Over 150 New Styles Added! + FREE Shipping! Call It Spring Canada is offering 50% off the original price on all clearance! Discount applies to clearance merchandise only. This Call It Spring Canada offer is valid online only for a limited time. PLUS for a limited time, Call It Spring Canada is offering FREE SHIPPING on all online orders. The cost for shipping will automatically be deducted at checkout for all eligible orders. This entry was posted in Uncategorized and tagged Call It Spring on March 14, 2014 by booradley. 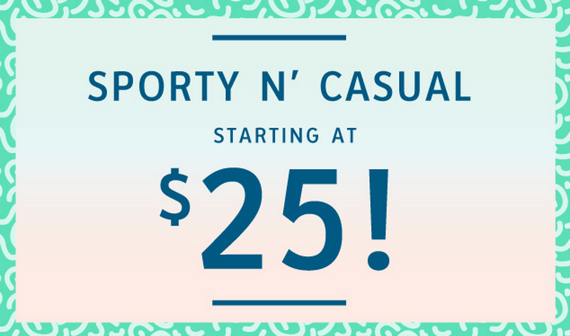 Call It Spring Canada Offers: Sporty n’ Casual Starting At $25 + FREE Shipping! Also, CALL IT SPRING is offering FREE STANDARD SHIPPING on ALL online orders with the promo code SPRING14. The cost for shipping will automatically be deducted at checkout for all eligible orders. this FREE shipping is valid for a limited time only. This entry was posted in Uncategorized and tagged Call It Spring on March 3, 2014 by booradley.